5 Kids’ First Flights and Honoring Dr. Martin Luther King, Jr. – Summer Owens S.O. What! 5 Kids’ First Flights and Honoring Dr. Martin Luther King, Jr.
​It’s Dr. Martin Luther King’s birthday! As a 17 year-old high school student moving to Memphis, TN for college, I had no idea that Memphis would be my home for at least the next 20 years. And ignorantly, I didn’t know the depth of the civil rights history of the city. When I started my speaking career and then the S.O. What! Foundation, part of my mission was to expose youth and young adults to new experiences that would change the way they think and impact their lives. Living in Memphis, we are in the home of the amazing National Civil Rights Museum. The place where Dr. King lost his life fighting for the rights of sanitation workers. Four years ago, I created to the Love Yourself Event to be an event to raise money for the S.O. What! Foundation. The focus of the event is self-love which is the foundation of what we teach our kids in our program. The event has grown more and more each year, and last summer we had raised enough money to take our kids on their very first flights! The students all read my story as part of the program and had learned about my first flight to Washington, DC as scared, pregnant 15-year-old and then my son’s first flight which was also to DC. And some of them were scared themselves, but I wanted to show them they could fly and they could go anywhere and do anything. 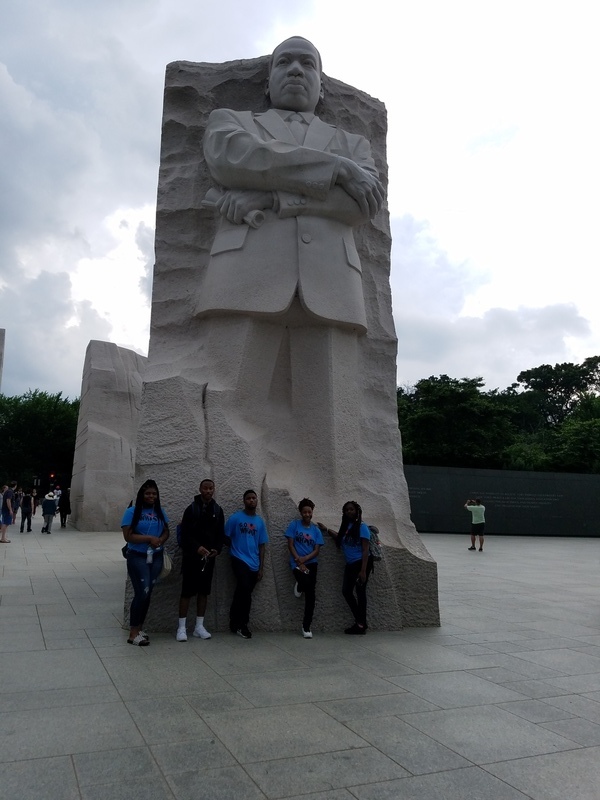 We visited many of the monuments and museum they had read about in my book including the Lincoln Memorial, Washington Monument, and the Capitol PLUS places I was so excited about seeing myself- the National Museum of African American History and Culture and Martin Luther King, Jr. Memorial. Even when we visited the Capitol, the students could see themselves and MEMPHIS with the Dr. King bust and the statue of Rosa Parks. On the trip, we did much more than visit monuments and memorials. We created memories and moments that will last our entire lives. Click here to check out the video I created from all the photos I took on the trip (yeah, I was the annoying mom who wouldn’t stop taking pictures). And I’m so glad I did! Happy MLK Day! What are you doing to honor Dr. King’s work and sacrifice?